What are the 5 Different Sectors of Hospitality Industry? The hospitality industry is a bustling industry with myriad categories, but customer service is the unifying factor shared by all segments of the industry. Different sectors of the hospitality industry ensure that traveller’s needs are catered to in a holistic manner. So, let’s get into further details about this industry. What are the different sectors of the hospitality industry? That being said, your business may focus on one segment or go for all facets of the hospitality industry. The hospitality itself is a multi-billion-dollar industry that relies heavily on the availability of disposable income and leisure time. The below image presents the categories of the Hospitality industry or displays what we can call the hospitality world. In the hospitality sector, the success of a business depends largely on how efficient the hospitality team is and how effective the business model is. So, in essence, one can make a foray into all categories of the hospitality industry. Costs and challenges will certainly swing upwards, but managing or owning different sectors of the hospitality can offer a chance to rake in more rewards in the long haul. So, let’s get to the key point again. 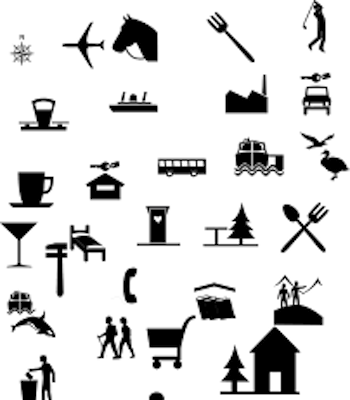 what are these different sectors of the hospitality industry? Discussed below are the different sectors of the hospitality industry in further details. 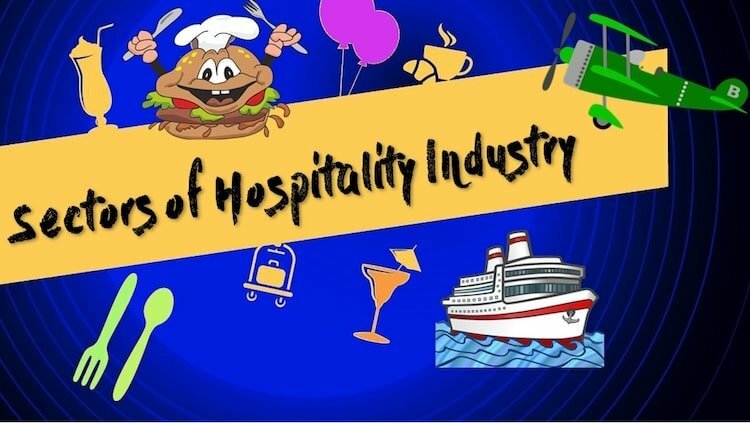 The hospitality industry is constituted of an array of sub-industries as is described by Wikipedia and has been explored in some detail in this article. This sector of the hospitality industry features a gamut from luxurious hotels to lavish resorts and campgrounds. Accommodation is an absolutely broad sector of the hospitality industry, ranging from bed & breakfast enterprises and hotels to other facilities that offer lodging services. Again, customer service is indispensable in providing accommodation services. And that isn’t all – efficiency, integrate comfort, and world-class amenities are also its foundation. Also, read our other post on the importance of service in hospitality industry. An extravagant resort, for instance, should offer its customers privacy and exclusive services to cut it in the niche. As you might expect, accommodation can marry well with other segments of the hospitality industry. Of the three things which people need, when they travel, the most important one is accommodation. Other two are food and transportation. It is due to this fact we have started with lodging in our list of 5 sectors of the hospitality industry. If you have arranged for hotel and accommodation, you will automatically find the other two. A lot of focus is being made these days to improve the lodging experience of people travelling around the world. Lodging: When people travel from one place to the other, they need a place to sleep. A shelter which will keep them safe from the atrocities of nature. This results in people booking lodges and rooms for their stay. Suites: Apart from general lodges to stay, hotel sector offers luxury suites for the stay as well. Generally, suites are suitable for formal sorts of staying and are much expensive compared to regular room services. Resorts: The third type of accommodation which is popular among travellers are resorts. These bring you close to nature and give you a necessary break from your normal routines. 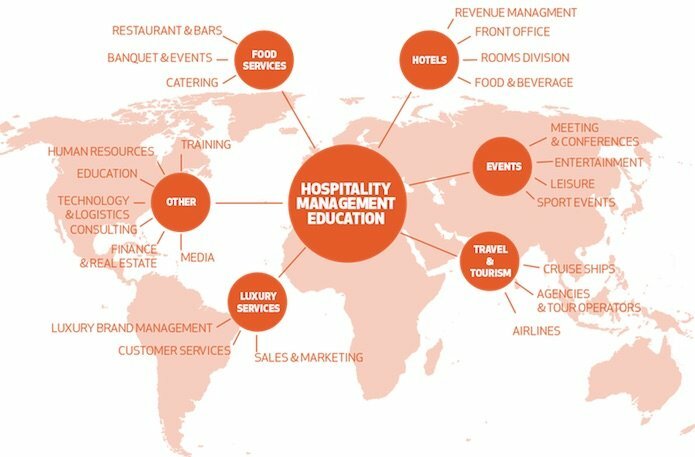 This is another crucial one of the 5 different sectors of the hospitality industry. It’s another wide sector of the hospitality industry. Food and beverage sector reign supreme in the industry. And, for good reasons. It can range from something as simple as a bistro all the way to a high-end restaurant and every catering establishment in between. As it’s expected, the food and beverage industry is further sub-categorized into niches. 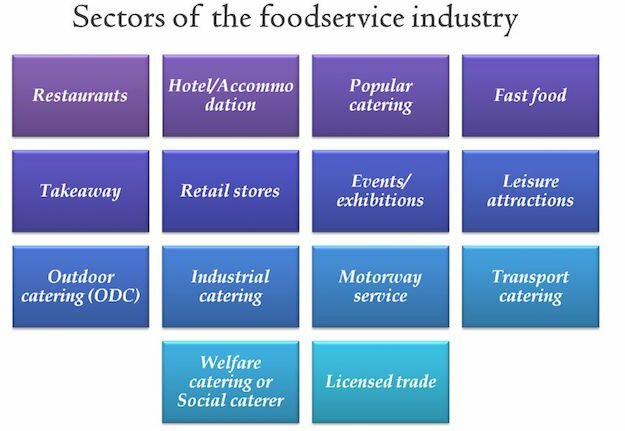 There can be a humongous list when we categorize the food service industry as a crucial sector of the hospitality industry but we will list the key categories below. Quick-service Establishments – These are commercial foodservice restaurants that compete for customers who look to garner quick snacks, drinks, and meals. Typically, they have fewer employees. In fact, self-service is the norm here. Think of McDonald’s, KFC, Subway, Pizza Hut etc. Catering Businesses – This category provides food and beverage catering services for any special occasion – from weddings to birthday parties and everything in between. Full-Service Restaurants: These are your typical restaurants or eateries which feature course meals, drinks, and a plethora of other food services. These establishments usually seat you at a table and use waiters to take food orders. From fine dining to casual dining to themed restaurants; there is a range of these full-service restaurants. Themed restaurants have grown multiple folds like the wave of luxury underwater restaurants of the world. Such is the popularity and growth of Foodservice establishments that industry pundits are considering Full-service restaurants as a separate category of the hospitality industry. People are always looking forward to food when they are on the go. When in a different country, people like to taste local cuisines. So, food and catering make essentials of the hospitality industry. It starts with food production and ends at food representation on the eating tables, with storage and cooking steps resting in between. It is also important to discuss the processes and stages involved in the foodservice industry of hospitality. Food Management: It starts with the production of food. Many hotels and restaurants serve naturally organic food. Apart from production, food transportation and storage also make part of this division. Food Presentation: People like to eat food which is well represented. So, a lot of focus should be made on food representation to improve hospitality experience. Beverages: Apart from general food items, beverage storage, and representation also make it into the list of food and catering services. Restaurant Management: Restaurant management is a science which is being taught in colleges these days. With proper skills to manage a restaurant, you can manage food, beverages, and maintain a quality representation of food, so that customers will come again to eat at your place. A lot consider tourism synonymous with hospitality and not as a different sector of the hospitality industry. Travel and tourism industry is a vast sector of the hospitality industry with several key players across the globe. Most of them include trains, airlines, cruise ships, and several crew members in their service. On the whole, players in the travel and tourism segment are in the business of moving people from one destination to another. It would not be an exaggeration if we make a statement that the most important segment of the hospitality industry is travel and tourism as others depend on it. Without profound levels of travelling and tourism in a region, the hospitality industry of the region won’t grow. So, the Travel and tourism domain makes the backbone of our hospitality industry. It is a huge domain which demands innovation, strategy, and novelty at each step. When we talk about travel and tourism, it is not confined to leisure and travel for fun. Both formal and informal travelling include this division. People travel across the globe for businesses, education, entertainment, holidays, and many other things. Like all other different sectors of the hospitality industry, this one also demands customer focus, leniency, relationship management, and other integrated marketing skills for its smooth running and expansion. This again is a key category of the hospitality industry as it involves the most important thing of hospitality. Us, the buyers and recipients of all hospitality services. So, this sector of hospitality thrives for us and to entertain us. Entertainment is a significant part of our travel these days. If your travelling experience lacks fun and entertainment then you might not be able to enjoy your time up to the fullest. So, for the successful running of hospitality businesses, it is important to have in the kitty as many entertainment activities as possible. Marinas: Marinas are one of the most popular places to go when it comes to partying. You can get along with your friends on a private yacht where you can dance, play games, and enjoy the best of your life. Sports and Gaming: Sports and gaming is a basic thing which people are looking for on their travel. As a result, Casinos, swimming pools, and other similar activities are becoming an indispensable part of the hospitality sector. Cruise: Apart from marinas, cruise services are also becoming an essential component of the hospitality industry. Now, people like to spend their days on luxury ships which sail across the blue oceans under the clear sky. Nightclubs: Who doesn’t love to dance to their favourite song when on a break? We all do. This is why hotels have nightclubs services in them. Bars: Sitting around a table and having a couple of drinks with your friends is always a refreshing experience. This is why bars make an important part of the entertainment sector of the hospitality industry. An emerging yet vastly important sector of the hospitality industry is vacation ownership of a place. In this scheme, people, either individuals or parties, own the rights to a place for a specific time period during the year. We have placed Timeshare on our list of 5 different sectors of the hospitality industry because of the raised interest of hospitality enthusiasts for Timeshare. Timeshare gives us an option to own our choices and to enjoy facilities by either buying a part of a facility or getting into a membership plan. During this time, they can bring this place under their use, the way they want to. Convention Centres: Convention centres make the base of the hospitality industry as they offer a place where people can gather in bulks for seminars, conventions, expos, and other similar things. Villas and Resorts: You can own villas and resorts under the timeshare rule, for some time of the year and can go and enjoy with your friends or family. While we tried in this post to answer a key question about the different sectors of the hospitality industry, we also made efforts to elaborate on these sectors to take a holistic approach towards presenting the outlook for the hospitality industry. With developing technologies and improved management skills, the hospitality industry is poised to grow in future as well. If you want more of the hospitality industry, do not miss to check out these amazing facts about the hospitality and hotel industry. The need of the hour demands businesses operating in this field to embrace and adopt these technological changes and strategize accordingly, so it can keep pace with the rest of the world.